The Friends of the Cleveland State University Michael Schwartz Library presents its selections for their 2016/2017 Book Discussion Series. The book discussions are free and open to all faculty, staff, students and the general public. Join us! Discussion leader: Jeffrey Ford, Ph.D., Retired Faculty and Professional Staff Association (RFPSA), CSU. Discussion Leader: Richard Fox, Ideastream. Nine working-class American boys and their epic quest for Gold at the 1936 Berlin Olympics. The number one New York Times bestselling story about American Olympic triumph in Nazi Germany. Discussion leader: Frank Klaus, Professor Emeritus, Accounting Department, CSU. Discussion Leaders: Richard Fox, Ideastream and Elizabeth Lehfeldt, Ph.D., Dean, Mandel Honors College, CSU. Questions? 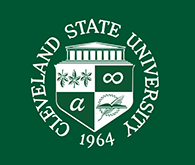 Call 216-875-9734 or email b.i.loomis@csuohio.edu. Posted 2016-09-08 15:38:04 by Lauren_Felder.